1. First off congratulations on your new position at Nationwide Children’s Hospital. Q: Can you tell us more about your new role at Nationwide Children’s Hospital, and how you’re growing and expanding its genomic medicine program? A: The new role at NCH is extremely exciting in that we have an opportunity to add the precision of NGS into clinical practice in the pediatric setting. This is a strategic and scientific opportunity to really demonstrate that NGS adds to the precision of diagnoses. So, I am pleased to have the mandate to begin working with pediatric medical specialists at one of the top pediatric hospitals in the US, developing new diagnostic assays and demonstrating that they provide a clinical benefit to our patients. 2. The Nationwide Foundation contributed substantial funding over the last ten years to accelerate pediatric research and clinical discoveries at Nationwide Children’s Hospital. Q: What will the funds be used for and what are the specific goals of the pediatric research program which you will be actively involved in? A: Similar to other hospitals’ programs in adult medicine, our program will use the funds contributed by the Nationwide Foundation to build support for the clinical benefit of these tests in pediatric medicine, demonstrating that genomics adds information to treatment decisions and that our patients experience outcome-based improvements as a result. Q: Will you be focusing on specific cancers and diseases, and if so, what are they? A: Pediatric medicine provides many opportunities in genomic medicine, which is why this is an ideal situation. We will develop assays for cancer patients in the recurrent and treatment refractory disease setting but we also will contribute to the diagnoses for pediatric patients with developmental delay, rare genetic diseases and failure-to-thrive in the NICU setting. Q: How much of this will be fast diagnosis of critically ill infants with undiagnosed conditions? A: There is a plan to develop this type of diagnosis, using the Churchill algorithm developed at Nationwide Children’s by Dr. Peter White and his group. 3. Can you share with us some of the specifics of the approach you will apply to accelerate pediatric research and clinical discoveries: in particular we’re interested in study designs, sample size, sample types to be tested, populations to be researched, etc.? How are the findings expected to impact the research programs and clinical applications? A: It’s frankly a bit early in our program to give out such specifics. Keep in mind that most pediatric diseases are, by definition, rare. So a lot of what we’ll do initially will be “n of 1” studies. 4. Since you are building or expanding a new research program, how much will be devoted towards adopting existing successful protocols versus establishing entirely new protocols (sample collection, lab processes, data analysis for decision-making purpose, clinical reporting)? Specifically, are you planning to partner with or adopt commercial solutions or will you build an in-house solution from scratch, or is it envisioned to be a hybrid approach and why? Can you discuss some details? A: We’re not building a research program. We are building a clinical sequencing program. Much of what we will do is establish entirely new protocols, although we are fortunate to be benefiting from existing and considerable expertise in sample collection and biobanking from the group overseen at NCH by Julie Gastier-Foster. We will adopt a commercial solution for clinical interpretation of data, clearly. No details as yet. 5. Once you have uncovered the genetic underpinnings of a disease, what do you believe will be the challenges with setting up an NGS-based clinical diagnostics implementation, particularly in pediatrics, and how can we overcome those challenges? A: We already plan to evaluate most patients through an exome or augmented exome approach in the clinical setting. I think most of the challenges are not in implementation, other than in developing the interpretation software tools and databases. This is already a challenge for every group trying to excel at NGS assays. We already understand that patients will benefit from these non-hypothesis-based approaches and this is being reimbursed to a large extent. Probably the remaining challenge in reimbursement is getting all the insurers to agree on the clinical benefit for patients. 6. Is there anything else you would like to tell us about? A: Just that I feel incredibly fortunate to have moved to such an incredible environment, where genomic medicine is fully supported from hospital management through individual physicians. It’s so exciting and encouraging. Being in the hospital daily reinforces for me the importance of our work for individual patients. Dr. Mardis is an internationally recognized expert in genomics,cancer genomics and sequencing technologies whose research interests are in the application of next generation sequencing to characterize cancer genomes and transcriptomes as well as translation of basic science discoveries about human disease to support therapeutic decision-making. Prior to being named Co-Director of the Genomics Institute at Nationwide Children’s Hospital in 2016, Dr. Mardis served as Co-director of the McDonnell Genome Institute at Washington University in St. Louis since its inception in 1993. As Co-Director and Director of Technology Development at one of four genomics centers funded by the National Human Genome Research Institute, Dr. Mardis played a pivotal role in the completion of the Human Genome project by helping to create methods and automation pipelines. She then orchestrated the Center’s efforts to explore massively parallel sequencing technologies and transition them into production sequencing capabilities as well as new applications. The Institute was among the first to use DNA sequencing technology to explore cancer tumor growth, resulting in the international effort to explore the genomics of cancer.Her team was also integral to the St. Jude-Washington University Pediatric Cancer Genome Project,which sequenced the genomes of cancerous and normal cells of nearly 1000 children. Dr. Mardis is a member of the Board of Directors for the American Association for Cancer Research and a member of the Supervisory Board of Qiagen N.V. She is editor-in-chief of Molecular Case Studies and a senior editor of Molecular Cancer Research, a monitoring editor of Disease Models and Mechanisms and Associate Editor of Annals of Oncology. Dr. Mardis also serves on several NIH study sections. Among numerous awards, Dr. Mardis has received the 2016 Morton K. Schwartz award from the American Association for Clinical Chemistry and the Scripps Translational Research award for her work on cancer genomics in 2010. She was included on the 2013 Thomson Reuters’ list of most cited researchers, one of only two women listed,. 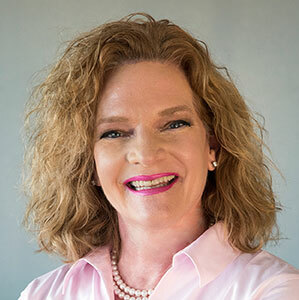 Dr. Elaine Mardis graduated Phi Beta Kappa from the University of Oklahoma with a BS degree in zoology and then completed her PhD in Chemistry and Biochemistry in 1989, also at Oklahoma.